Barton was released by Burnley in May 2017, as he was banned from football for 18 months after admitting a Football Association charge in relation to betting. 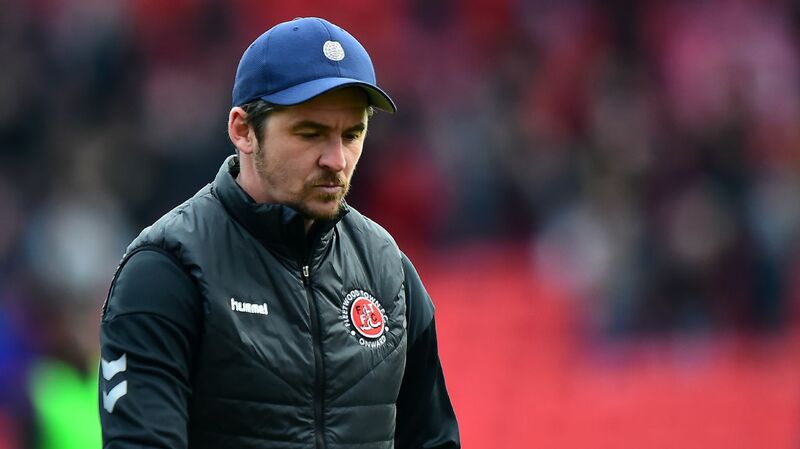 Joey Barton has taken on his biggest challenge yet by making the first step into management as head coach at Fleetwood, according to the midfielder's former boss Sam Allardyce. The 35-year-old, who was most recently at Burnley, has signed a three-year contract from June 2, when his suspension for breaking Football Association betting rules expires. Barton played for Allardyce at Newcastle from the summer of 2007 to January 2008. "I think he was too young at that time [when at Newcastle], he was more concerned about playing [than coaching], but as time has gone on you have seen him evolve into someone who has a big opinion and he wants to put that opinion to the test on how he would manage a football club," said Allardyce, now in charge of Everton. "I think he is very fortunate he has got that opportunity because there are so many highly-qualified coaches and managers out there and there are only 92 jobs in the league, so it is a very privileged position to get offered one so he needs to grasp it with both hands and good luck to him." "It will be nice to see Joey sitting behind the desk," Allardyce added. "Good luck to him, he has taken on a big challenge. "We will see in the next few months whether he can be a manager who progresses through the leagues and moves forward or not. "Fleetwood is a good opportunity to start your apprenticeship because you can make a few mistakes there and move forward still because the higher up you go the fewer mistakes you can make." Allardyce is one of the most experienced managers in the Premier League, having also briefly been in charge of the England national team before returning to club management at Crystal Palace just before Christmas 2016 and then stepping back into the dugout at Goodison Park late last year. The 63-year-old hopes Barton will make full use of the resources available to him. "If he is listening make sure you join the LMA [League Managers' Association] because no doubt somewhere along the lines you will need their advice, particularly as a young manager," Allardyce said. "We have a wealth of talent and education programmes. It will help you get through the early management strifes and strains."